200 gram. 25 Shots! 10 shot finale! 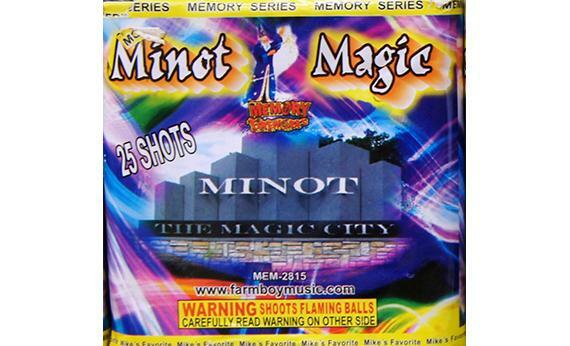 Minot The Magic City has twenty five shots of Silver tial to multi-color bouquet with crackling and a TEN shot finale!!! Great color!